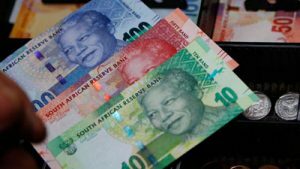 The rand has regained some ground after dropping to a seven-week low against the greenback as traders wagered that Wednesday’s budget speech would sway ratings agency Moody’s from downgrading the country’s debt to junk status next month. The local currency improved after markets processed, Finance Minister, Tito Mboweni’s pledge of modest cuts to public disbursements and more extensive reforms on State owned institutions. The rand is currently trading at around R13,94 against the dollar. The post Rand strengthens after dropping to a seven-week low appeared first on SABC News – Breaking news, special reports, world, business, sport coverage of all South African current events. Africa's news leader..